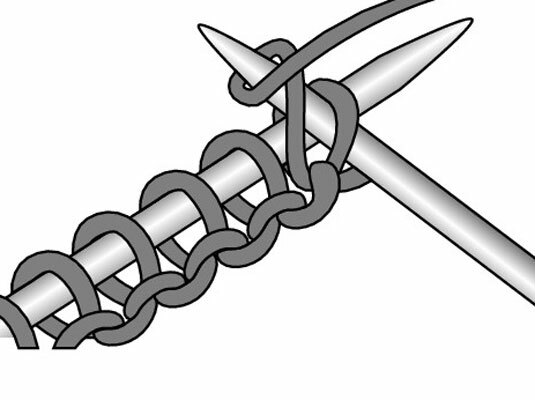 Knitting and purling in the English style is the most common method in the United States. 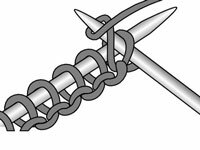 To purl in the English-style, you just work a knit stitch backwards: Instead of going into the stitch from front to back, you purl by entering it from back to front. 1Hold the needle with the cast-on or existing stitches in your left hand, with the tip pointing to the right, then insert the tip of the RH needle into the first loop on the LH needle from right to left and back to front. 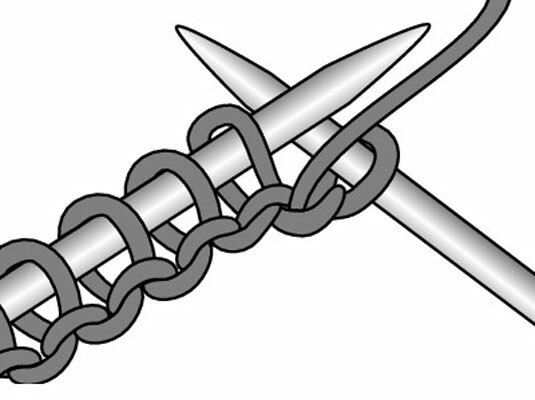 The RH needle is in front of the LH needle, forming a T, and the working yarn is in front of your needles. This is the reverse of what you do when you form a knit stitch. 2With your right hand, wrap the yarn around the back of the RH needle. Wrap the yarn from right to left and down. 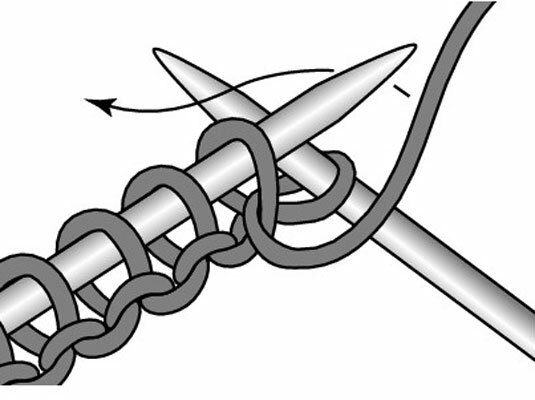 3Bring the tip of the RH needle with its wrap of yarn down and through the loop on the LH needle to the back side of the LH needle. Keep a slight tension on the yarn throughout this step. 4Slide the old loop off the tip of the LH needle. 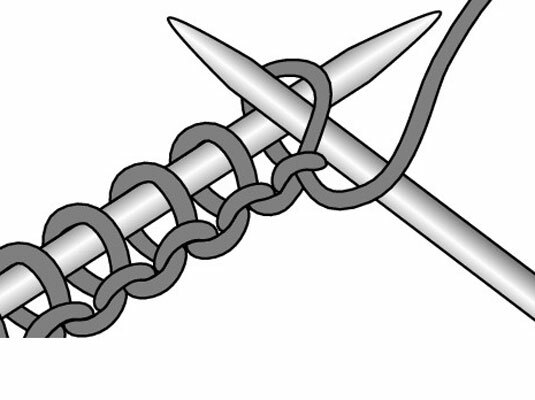 A new stitch is made on the RH needle. Repeat these steps until you’re comfortable with the movements.